Product Lead @FlurryMobile. Formerly ran @Zynga mobile poker. Ex-Googler. Rookie sailor, professional ramen eater. Most meetings are useless. It is not because the core concept of people getting together to discuss ideas and make decisions is flawed. But rather because most meetings are bloated (too many attendees), unfocused (unclear what the expected output is) and poor forums for decision making (result of the prior two factors). Those meetings slow progress. Slowed progress kills morale. Axe them. NOTE: I’ve launched advertising platforms at both Google and Flurry and ran Zynga mobile poker (iOS, Android). 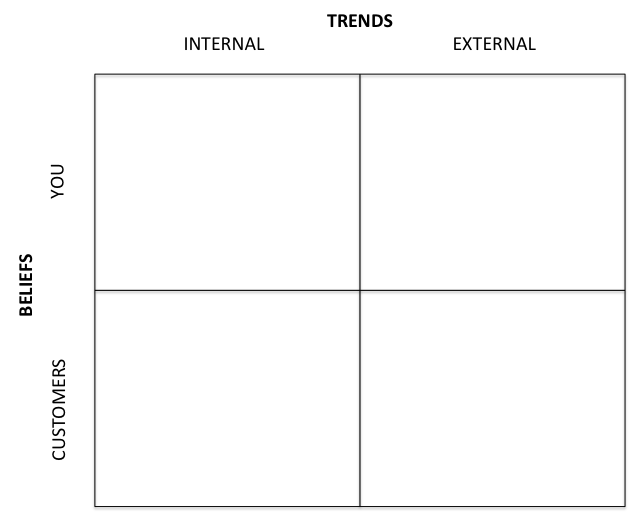 The notes below are based off my experience in these contrasting consumer and b2b roles. What’s the difference between product management at a B2C role vs. B2B? A former co-worker asked me recently and it’s a great question. Many aspects (and skill sets) that a PM needs are exactly the same, regardless of whether the end customer is a business or a consumer. At the end of the day, your job is to set a vision, wrangle x-functional resources and launch great product(s). But certain aspects change shift dramatically and I’ve highlighted four key differences below. No doubt that four is an incomplete list but hopefully a good primer on some of the most common, key differences. This is my 2nd post on the topic of “How to build solid roadmaps.” In part 1, I wrote about using two vectors to map out the full set of product opportunities for your product/team/company. 4 weeks ago, while on vacation in Costa Rica, I dropped my iPhone and caused irreparable damage. When I returned stateside, I did something crazy: I decided to go “app-less” for 4 weeks (note: I used an original iPhone 3 to make calls and check my email on gmail.com but none of my standard apps support iOS 3.x anymore). Yesterday, I replaced my iPhone and re-entered the app universe. Here are some of my key take-aways upon re-entrance to mobile world. When I worked at Google, @kevaldesai gave me some advice: “be like him”. He was referring to another PM I knew and noted that his success was due in large part to a deep understanding of other key functions (sales, support, marketing, etc) outside of engineering/product. Being a Product Manager is tough. Succeeding is even harder. Over the last year, as I’ve taken on the responsibilities of managing a team of PMs I’ve been forced to think deeply about the skills that make successful PMs. It’s a tough question and no doubt I’ll refine my thinking in years to come but here is my framework to date. At a high level, success as a PM comes down to passing a hurdle in each of the the categories below and typically indexing very highly in at least 1 category. When I worked at Google, Eric Schmidt used to say “Revenue solves all known problems.” He was right. And if you’re monetizing a mobile app today, there is a good chance that in-app purchases (IAP) are a critical component of your monetization (if not the sole pillar). * Yet we don’t have great tools for understanding the mechanics of revenue models driven by IAP. Financial analysts who wrestle with similar problems can shed some light. Financial analysts often use a technique called DuPont Analysis - named after the famous chemical company that created it - to understand what components of a business are driving financial returns. In journalism, one of the first things writers learn is the inverted pyramid. 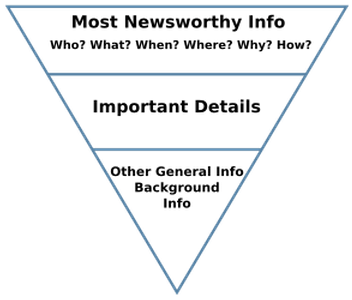 The inverted pyramid reinforces the concept that news articles need to begin by focusing on the critical, weighty aspects of the story first: who? what? when? where? why? After that, they can expand upon additional details, add more color, and eventually cover other related background info. The inverted pyramid serves 2 key purposes: 1) it ensures that a reader who starts the story and leaves it at any point will garner the most important facts first and 2) it ensures operational efficiency because editors - if pressed for space - should easily be able to lop off the end of any given article with no fear of cutting out the most pertinent facts. Failure to follow the inverted pyramid model is where the term “bury the lead” comes from.